I’m a classically trained coloratura soprano whose voice was transformed by Somatic VoiceWork(tm) The LoVetri Method. . . so happy to share it with students of all ages! I teach classical and CCM repertoire and techniques. I coach individuals, ensembles, musical casts, and choirs with up to 200 singers. I teach all over Rhode Island and also online. Lessons are 50 minutes long, focusing on technique and repertoire. I schedule through my website, www.edencasteel.com. See my Facebook page for testimonials and visit my website, www.edencasteel.com. A “stunning coloratura soprano” with a “great sense of comic timing,” Eden Casteel has graced venues from the Great Lakes to Graz, Austria. She holds a Master of Music Degree from The University of Maryland at College Park, and a Bachelor of Music Degree from the University of Cincinnati College-Conservatory of Music. 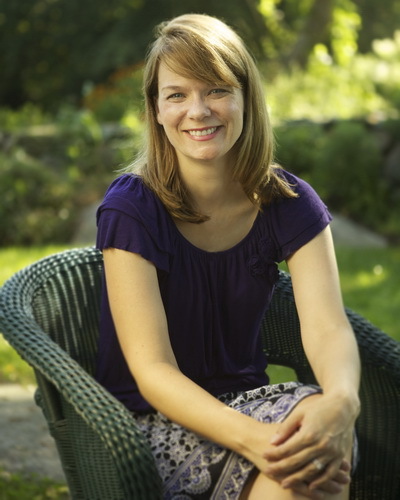 Eden is a certified Level III Instructor of Somatic VoiceWork (tm) The LoVetri Method.Eden served on the voice faculty at Hillsdale College and Spring Arbor University in Michigan, until her move to Rhode Island in 2010. She is now adjunct voice faculty at Salve Regina University in Newport, a vocal instructor at St. Luke Episcopal Church in East Greenwich, voice teacher for the Royal School of Church Music’s Newport Course, and vocal coach for the 190-member Chorus of Westerly. Favorite roles include Mrs. Lovett in "Sweeney Todd," Adele in "Die Fledermaus," The First Lady and The Queen of The Night in "The Magic Flute", Yum-Yum in "The Mikado," and an unusual pairing of Susanna and The Queen of the Night in a production of Peter Shaffer’s "Amadeus".She was a First Place Winner in the Columbus Symphony Orchestra Young Musician’s Competition and a Finalist in the 25th Annual Meistersinger Competition in Graz, Austria.A former reporter with the Cincinnati Enquirer who earned a journalism certificate along with her voice degree, Eden combined her opera and writing talents in "Le Nozze Di Tutte" (All Marriages Are Like That), a combination of Mozart’s "Cosi Fan Tutte" and "Le Nozze Di Figaro", which was performed to hilarious acclaim in 2005 and 2006. Her one-act Jane Austen musical parody, "Bride And Flatulence", was performed by the Tower Players of Hillsdale MI in 2010 (you can watch it on YouTube). Eden children's cantata about Saint Francis of Assisi, "Francis Makes A Scene," premiered in May 2013 at St. Luke Episcopal Church in East Greenwich RI. Every summer Eden writes, directs and produces the children’s historical show "Quonnie: The Musical", about the history of the Quonochontaug area of southwest Rhode Island. The musical will have its sixth annual production in August (www.quonniethemusical.com). She is married to photographer Ronald Cowie and they live in Wakefield RI with their two children, and assorted mammals and reptiles. Somatic VoiceWork teachers understand that improving vocal function produces real results. An SVW teacher is not going to force you to mold your voice to some external, preconceived notion of what you should sound like, but will listen to you and help you discover how your voice functions, so you can develop your best possible voice.An SVW teacher is not going to confuse you with meaningless jargon. Instead there will be careful, kind observation, helping you concretely improve your vocal function. An SVW teacher is not going to tell you that every single vocal issue can be solved a few weeks' time. But working with an SVW teacher is the very best way to build a healthy, beautiful voice!